Man flags down police for a ride home in Vero Beach. 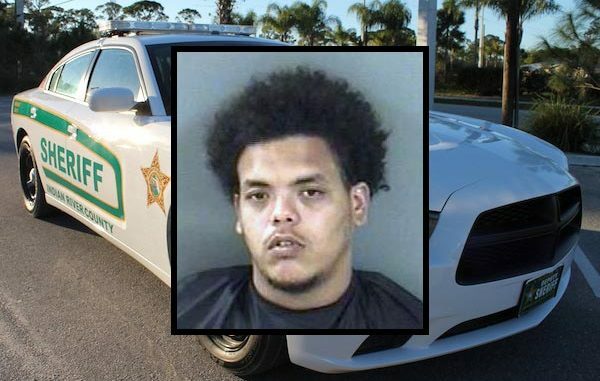 VERO BEACH – Earlier this morning, at approximately 1:00 a.m., a pedestrian flagged down an Indian River County Sheriff’s Deputy for a ride to his Vero Beach home. Emanuel Guadalupe, 22, was walking home from the 600 block of 27th Avenue in Vero Beach when he flagged down police. He told the deputy that he had been walking for miles and wanted a ride to 15th Avenue. The deputy agreed to give him a ride but informed Guadalupe that he would be searched to confirm that no weapons or contraband was on his person before entering his patrol vehicle. Guadalupe then told the deputy, “hold on. I have something I have to tell you. I have my girlfriend’s gun in my pocket,” according to the report. The deputy instructed Guadalupe to place his hands on the hood of his vehicle while he conducted a search. A Ruger pistol was located in the front pocket of Guadalupe’s shorts. Guadalupe did not have a concealed firearm permit. He was given a ride to the Indian River County Jail where he was charged with Felony Carry Concealed Firearm. Will Vero Beach or Sebastian Ever See Rain?